For the second straight year, Military Times names Pensacola State College in its list of Best for Vets: Colleges 2017. This recognition is based on a comprehensive survey of veteran and military student offerings and rates of academic achievement. Out of more than 500 two-year, four-year and nontraditional schools that submitted detailed surveys, Military Times recognizes 175 top institutions. 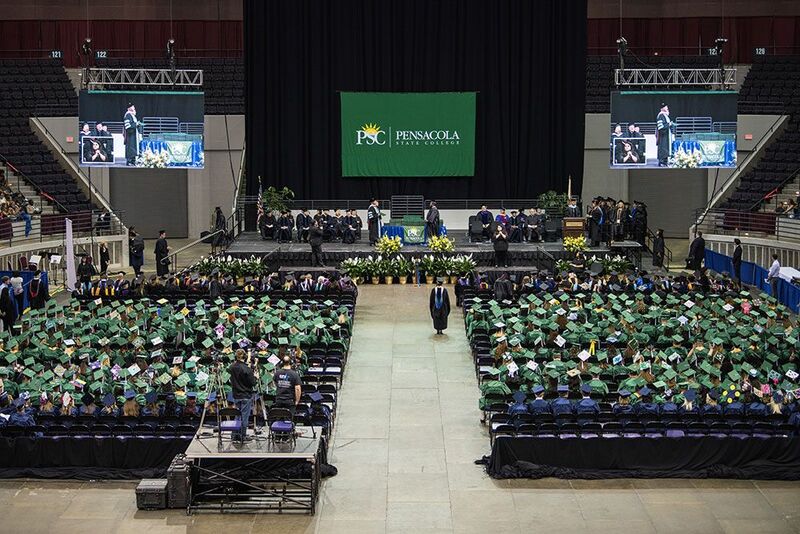 Pensacola State ranks 130 among four-year colleges and universities. Talk to some student-veterans at Pensacola State and you will find they are not surprised at this national recognition. When Charles Niedbala retired after a 20-year career in the U.S. Marines, he wanted to continue his passion for working with computers. Using the Post-9/11 GI Bill, he entered PSC as a full-time student majoring in cyber forensics in January 2016. He says that transitioning from staff sergeant to student has been smooth, thanks to the new Veteran Student Support Services (VSSS) program available at PSC. In 2015, the federal TRIO program established VSSS grants. Pensacola State was in the first group of 14 grant recipients in the nation, and the only VSSS grant recipient in Florida. Niedbala has maintained a 4.0 GPA during his three semesters as a full-time student. “I have succeeded because of the support I get at VSSS,” he said. David Smith spent 16 years serving in the U.S. Army before becoming a PSC student last May. As a pre-engineering major, he sees firsthand the importance of services such as Veterans Upward Bound (VUB), also funded by a federal TRIO grant that the college has received for several years. Smith plans to complete his associate degree at Pensacola State and then earn a bachelor’s in electrical engineering at the University of West Florida. After 14 years in the Coast Guard, Matt Barker could have gone anywhere but chose Pensacola State to pursue an A.A. degree in Business before transferring to a university. 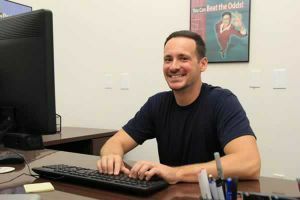 The California native said he enrolled at PSC because the student population seemed more mature and the VUB program gave him the tools to become a successful student. “I went through Veterans Upward Bound last summer and became a college student in August,” Barker said. To view Best for Vets: Colleges, go to www.militarytimes.com/bestforvets-colleges2017. Rankings also are published at ArmyTimes.com, NavyTimes.com, AirForceTimes.com and MarineCorpsTimes.com. For details on PSC veterans’ programs, contact Veteran Services at 850-484-1670, Veterans Student Support Services at 850-484-2047, or Veterans Upward Bound at 850-484-2068.